The film’s successful cast recording is leading the way by nearly 5,000 combined sales at the halfway point of the week, according to the Official Charts Company. The soundtrack, which includes vocals from Hugh Jackman, Michelle Williams and Zac Efron, is already the longest-reigning number one album of the decade and was the biggest-selling album of 2018. 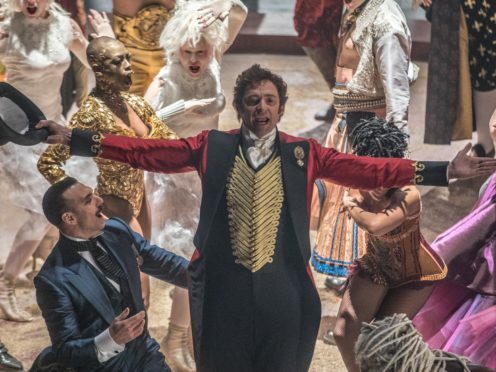 If The Greatest Showman continues at number one for another three weeks, it will have had more weeks at the chart summit than the Beatles’ Sgt Pepper’s Lonely Hearts Club Band, which has had a cumulative 28 weeks at number one. Staying At Tamara’s by George Ezra is currently in line to score another week at number two, while the soundtrack to A Star Is Born is currently at number three. Fleetwood Mac’s retrospective 50 Years – Don’t Stop is at number four at the midweek stage, rising from number eight, while Odyssey by Take That rounds off the top five. Last week’s number one single, Sweet But Psycho by Ava Max, is also on course to have another week in the top spot. It will mark the third week in a row at number one for the American singer. Ariana Grande’s Thank U, Next is currently at number two, ahead of Miley Cyrus and Mark Ronson’s Nothing Breaks Like A Heart at number three. American rapper Post Malone is at number four and number five with his singles Sunflower and Wow respectively.